Every year about this time when it starts to get a little nippy outside I get the urge to make a fire and whip up a batch of my delicious chili with rice. I learned this recipe at a cooking class years ago and it’s one of those wonderful dishes that everyone asks me to make! 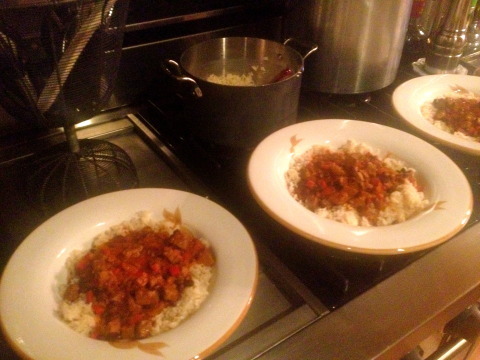 So here’s the recipe… you’re going to love it!!! 1. In large skillet, heat 1 tablespoon of olive oil over high heat (I use a wok because you get more surface space and it’s large enough to fit all the ingredients into) In batches, adding more oil as needed, cook the steak, turning occasionally, until seared, about 3 minutes per batch. Transfer to plate and set aside. 2. Add the remaining 2 tablespo0ns of olive oil to skillet and heat. 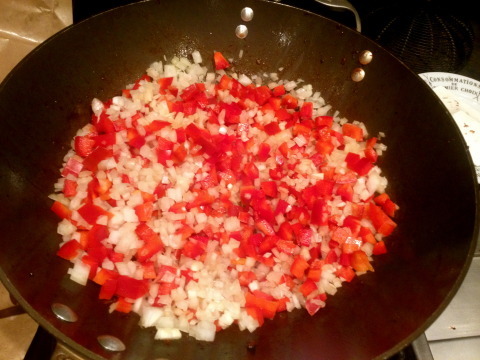 Stir in onion, bell pepper, garlic and cover. 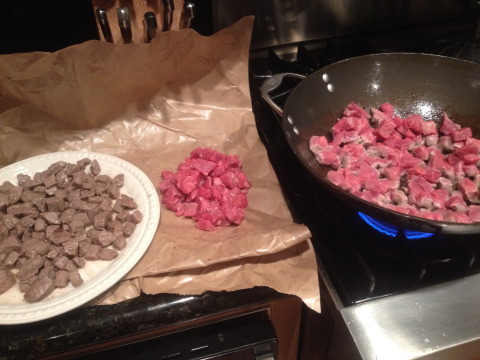 Reduce heat to medium and cook until the onion softens, about 5 minutes. 3. Return the steak to the skillet. Add the chili powder, cumin, oregano and stir for 1 minute. Stir in broth and tomato sauce, bring to a simmer and cover. Reduce heat to medium-low and simmer for 5 minutes. 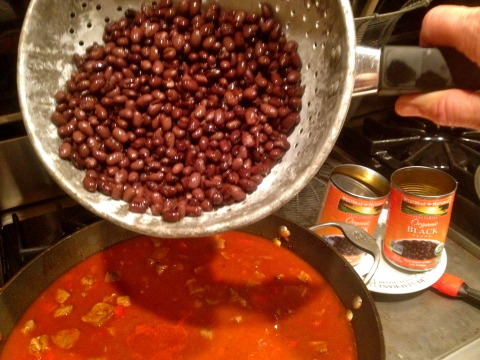 Stir in the black beans and cook until heated through, about 3 minutes. Season with salt, pepper and sugar. Can be made up to 2 days ahead. 4. Serve over Corona Rice: In a medium saucepan, bring a 12-ounce bottle of beer (preferably Corona or a Mexican style beer), 1 1/2 cups chicken broth and 1/2 teaspoon of salt to a boil. 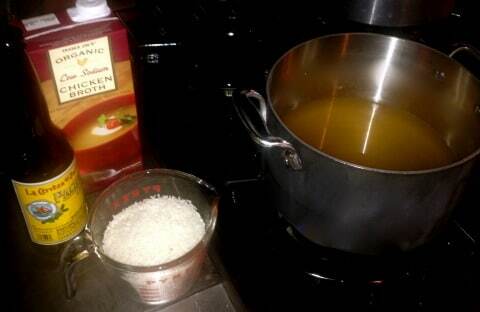 Add 1 1/2 cups of long grain rice (I use Mahatma) and return to a boil. Reduce the heat to low and cover tightly. Simmer until the rice is tender and absorbs the liquid, about 18 minutes Remove from the heat and let stand covered for 5 minutes before serving. 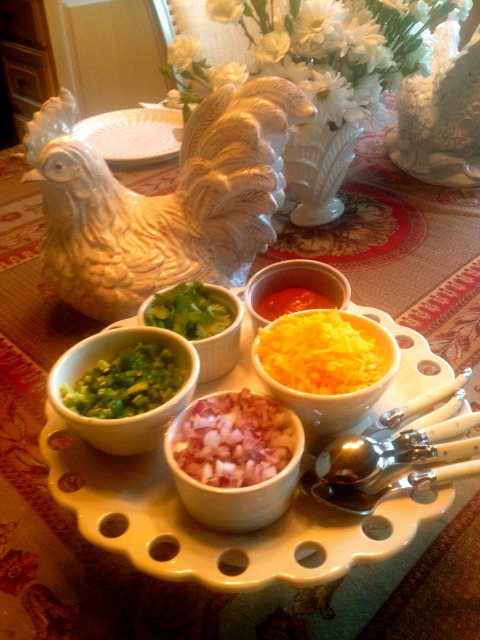 Serve with condiments: red onion, shredded cheddar cheese, chopped jalapenos, sour cream or Fage-2%, cilantro and ketchup. I’s sooo wonderful!!! 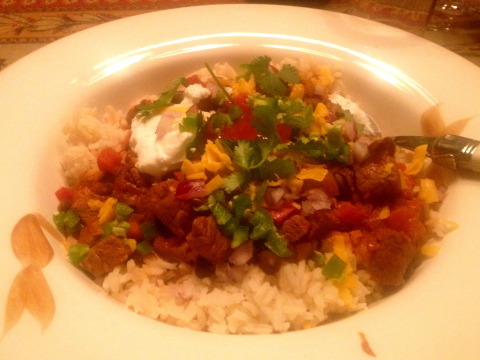 You are going to love the rich flavors of the chili on the rice! Best chili ever! When am I coming for dinner? 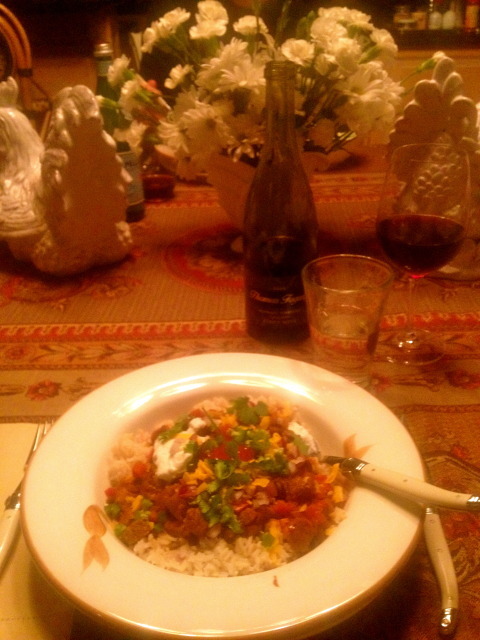 I know, let’s have Chili Night!!!! Yum! Can I come too? You’re all invited! Next I will blog the Famous Frederickson Turkey sandwich!! !